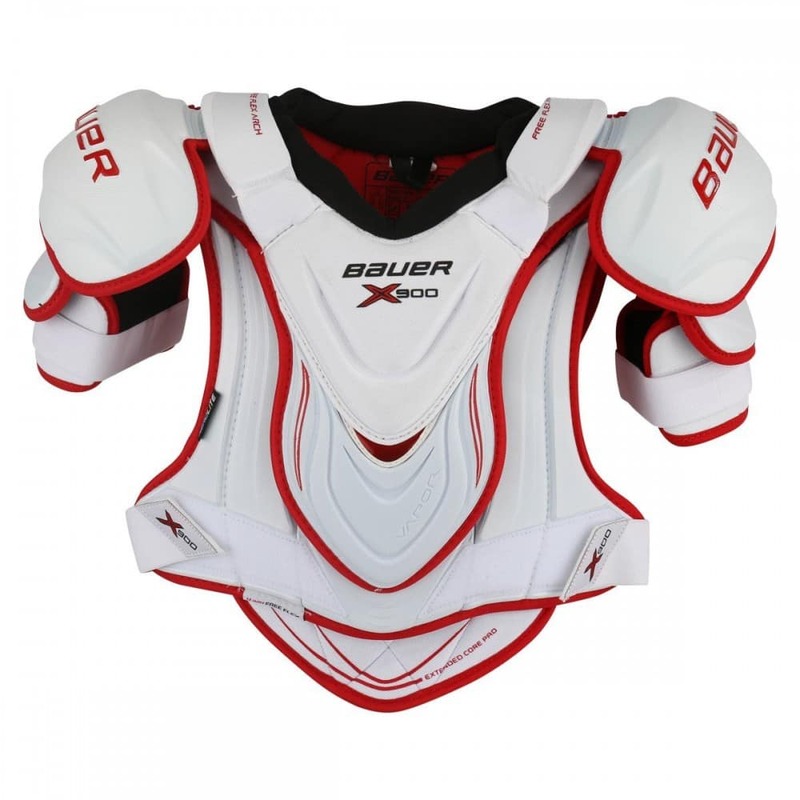 The Vapor X900 shoulder pad adopted that same great look and fit as its predecessor the APX2 with a white and red design complete with a tapered fit. 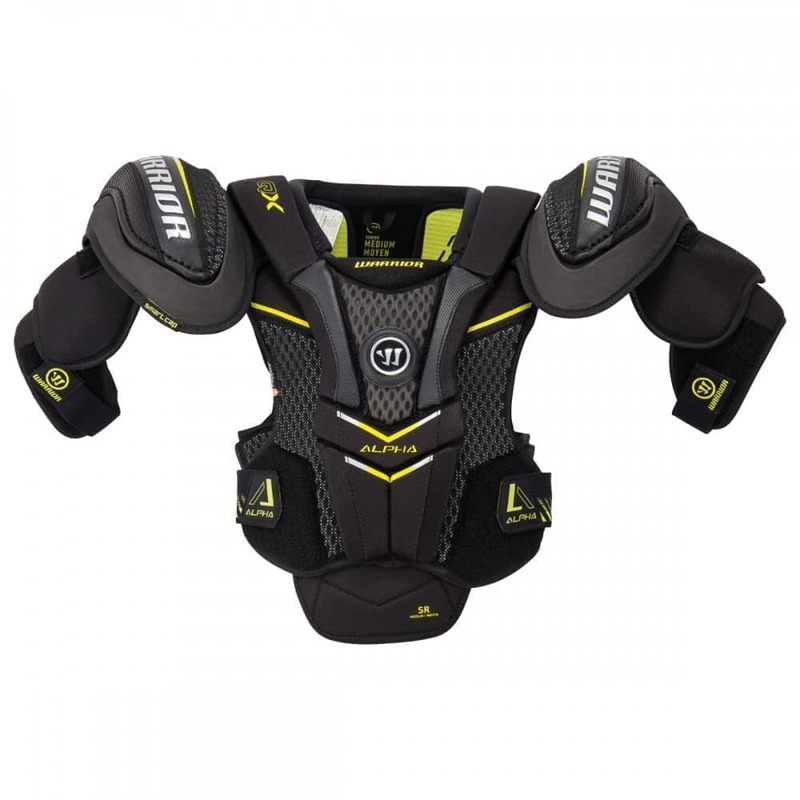 What makes this shoulder pad really stand out is going to be the integration of AEROLITE technology throughout the pad, with the utilization of this super lightweight foam in key impact zones the X900’s protective properties meets elite protection standards all while remaining lightweight for ultimate mobility. AEROLITE is a high grade foam with ultra-lightweight properties that offers pro level impact protection. 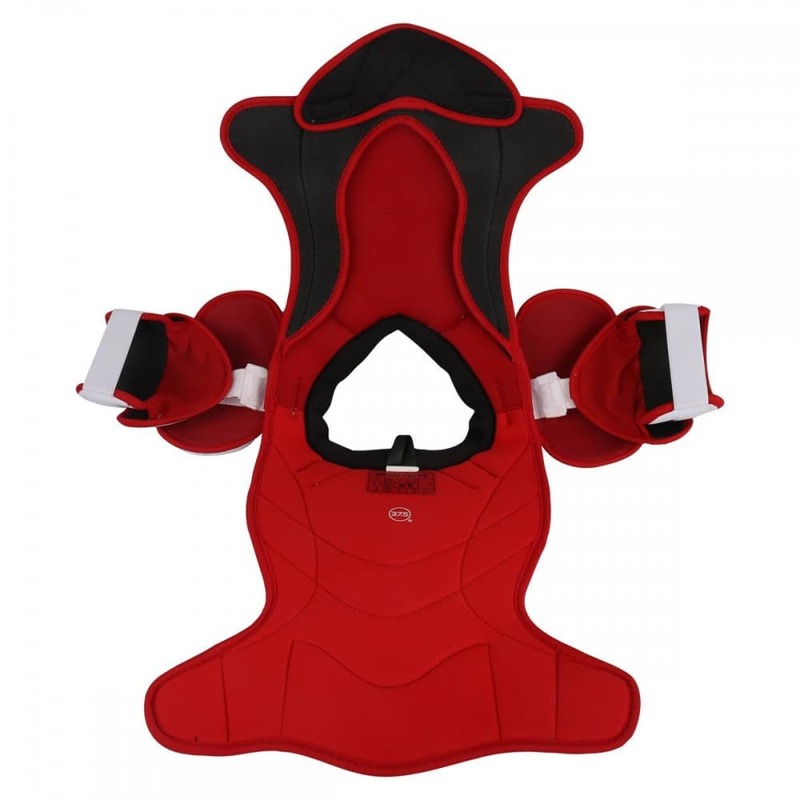 On the X900 this foam is virtually a part of every aspect of the pad found molded in the shoulder caps, sternum guard, spine guard, kidney panels, and bicep protection. 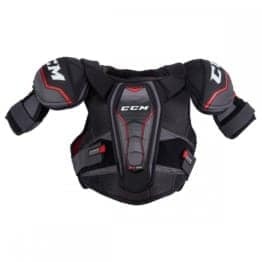 As far as mobility goes the X900 was designed for quick and agile skaters, this was achieved with a 4-way Free Flex chest, Free Flex bicep and arch support. 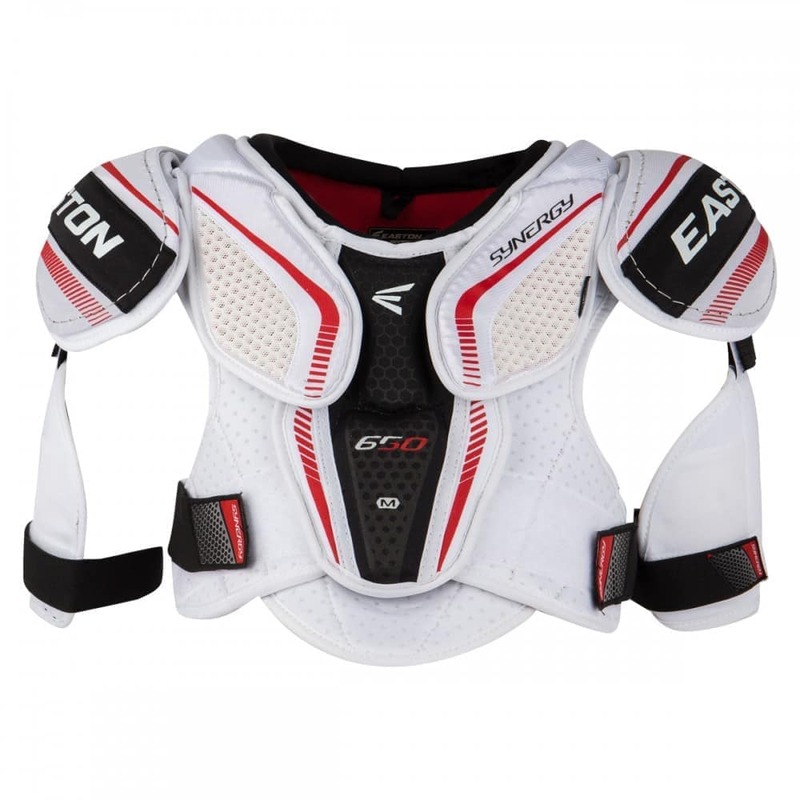 Each component is able to move with the natural movements of the body for an extremely comfortable and low profile shoulder pad. 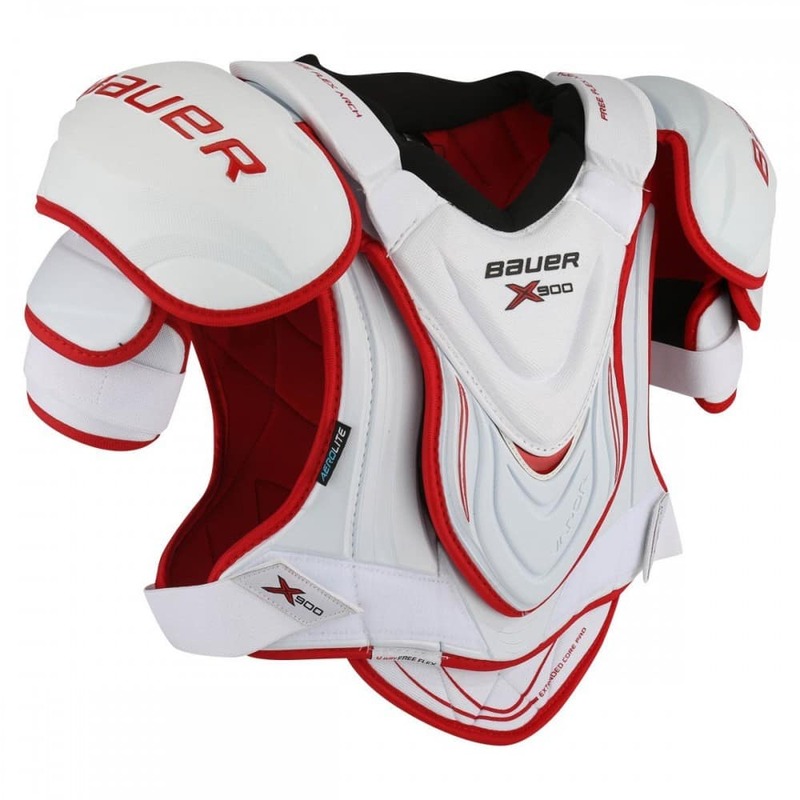 The liner used on the inside is Bauer’s 37.5 Technology which is a revolutionary material that dries up to 5 times faster than similar fabrics. 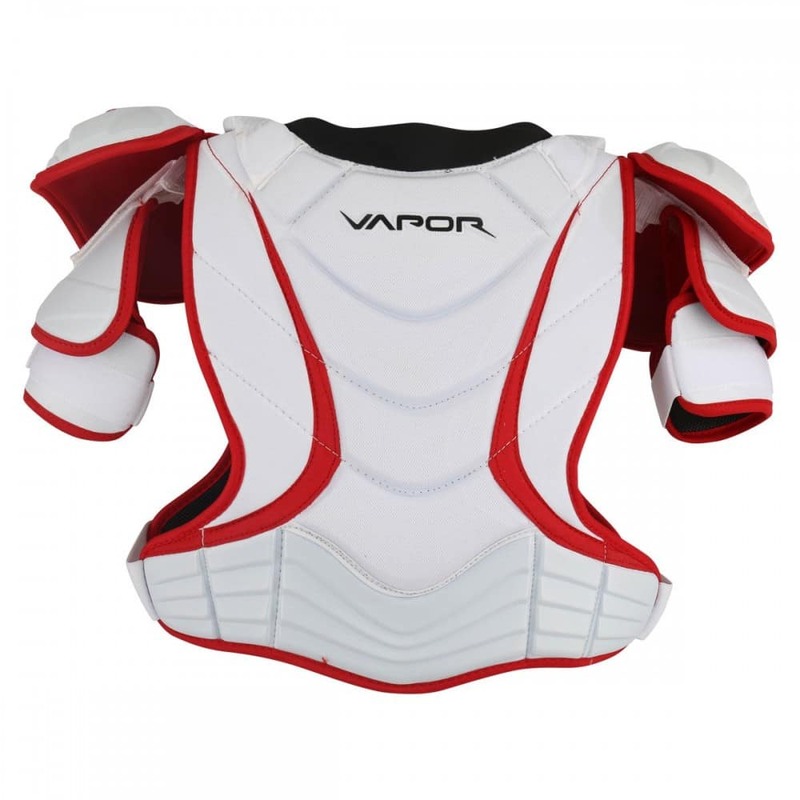 It works by using the player’s own body heat to evaporate sweat keeping you cooler and dryer in the process. 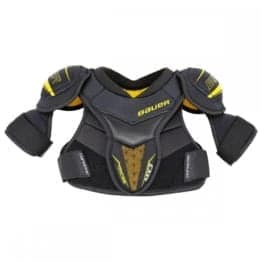 This will keep the shoulder pad lightweight and moisture free.